Central govt. 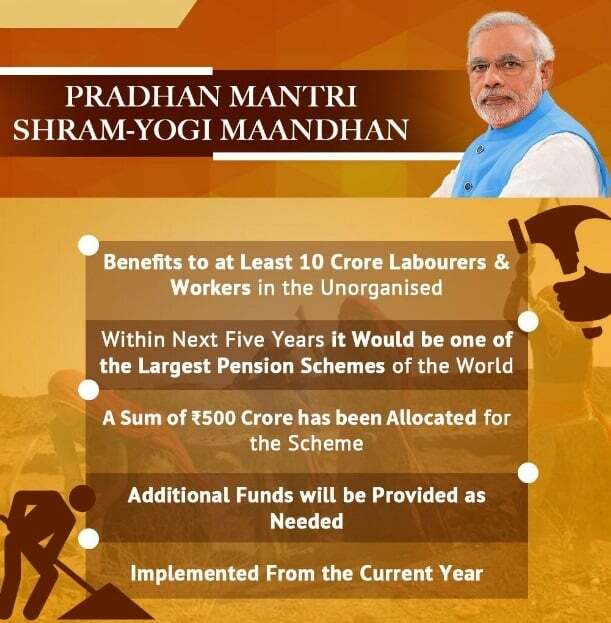 has announced a new Pradhan Mantri Shram Yogi Maandhan Yojana (PMSYMY) for informal workers in Union Budget 2019-20. Under this PMSYMY scheme, the govt. will provide Rs. 3000 per month as pension to all the unorganized sector workers. Now all the people working in unorganized sector will have to make a monthly contribution of Rs. 100 per month and then govt. will provide them Rs. 3000 monthly pension after retirement. The eligibility criteria for Pradhan Mantri Shram Yogi Maandhan Yojana 2019 is that the person must be working in unorganized sector. The salary of the person must be less than Rs. 15,000 per month to avail pension under PMSYMY. This scheme is going to benefit 42 crore workers in unorganized sector. The Union government has allocated Rs. 500 crore for this social security scheme and would start inviting PM Shram Yogi Maandhan Yojana online application form very soon. This mega pension scheme would cover around 42 crore workers (majdoor) including rickshaw pullers, rag pickers and other small scale workers. Now each of the unorganized sector workers will get Rs. 3000 per month pension amount. For availing PMSYMY benefits, the salary of the person must not exceed Rs. 15000 per month. To avail benefits under PM Shram Yogi Maandhan Yojana 2019, each of the worker must make a contribution of Rs. 100 per month. All the applicants would get this amount after they attain the age of retirement. There is no age limit specified till date and also there is no duration specified for jobs. That means that both the freshers who got job recently or are working for quite sometime in unorganized sector can avail benefits. The central govt. 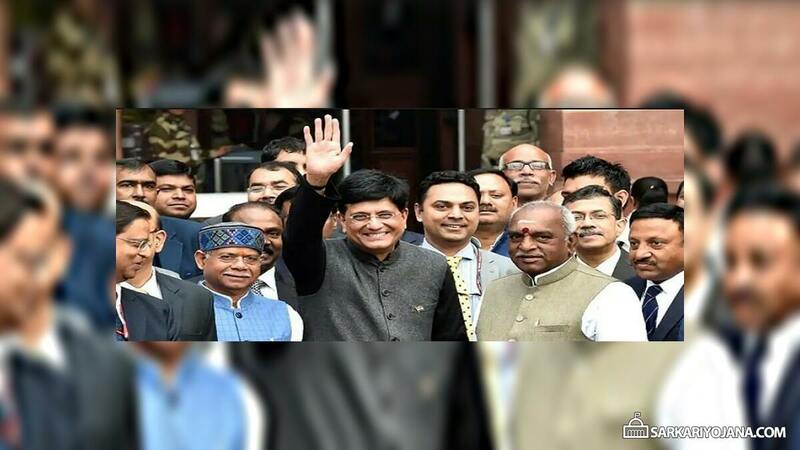 has made a budgetary provision of Rs. 500 crore for the successful implementation of the Pradhan Mantri Shram Yogi Maandhan Yojana 2019. Moreover, the central govt. has also announced to provide Rs. 7000 bonus to workers who earns upto Rs. 21000 per month. This is a brand new pension scheme for unorganized sector workers as the central govt. is committed to the welfare of these employees.